MRSIMCARD.COM – begins offering Claro Jamaica Sim Cards for visitors to Jamaica – iPhone / Blackberry users rejoice! HERNDON, VA (January 11, 2010) – OOMOBILE, Inc. | MRSIMCARD has commenced the sale of the Claro Jamaica Sim Card for visitors to Jamaica using phones, iphones, and blackberries. The Claro Jamaica prepaid sim card works with unlocked GSM phones as well as the Apple iPhone, and the RIM Blackberry device. Visitors to Jamaica can now surf the web for pennies while on vacation in Jamaica. The visitor will benefit from Free Incoming Calls and Free Incoming Text messages in Jamaica. Visitors with unlocked blackberries may opt for a 30 day prepaid blackberry data plan for less than 20.00USD. Just add funds to the line prior to arrival and start service using the short code *139*30 upon arrival in Jamaica. Blackberry setup is handled on the phone. Customers will be emailing before they leave the airport in Montego Bay. Visitors with unlocked iPhones will have even more choice. Prepaid iPhone data is available for 1 day, 7 days, 15 days, 30 days or 90 days. The Service costs around 30.00USD for 15 days of Unlimited data service. Setup is handled directly from the iPhone and instructions are on www.mrsimcard.com. Claro Jamaica offers an International calling plan for visitors to Jamaica. This package gives customers a bundle of 1000 minutes to use in a 30 day period to call the USA, Canada and the UK at the rate of 1JMD / .01c USD per minute. The package includes 1000 minutes for $999JMD. 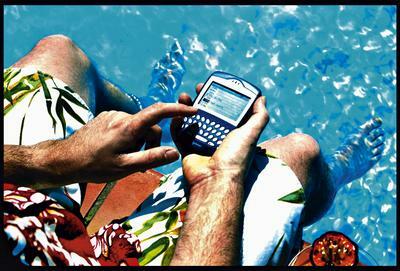 Just text *127*999 upon arrival in Jamaica and follow the prompts. Customers can purchase Claro Jamaica recharge from www.mrsimcard.com before arrival in Jamaica or even while in Jamaica. Recharge is delivered direct to the phone, and a text message confirmation is sent with each recharge order. For a limited time the Claro Jamaica Prepaid Sim is being offered at an initial launch cost of 29.99 USD. Orange UK offers “Pay As You Go” Blackberry Svc. Free FedEx delivery. Orange UK becomes the first operator in the UK to offer the BlackBerry mobile data service on a pay-as-you-go basis – for £5 a month. Orange is offering the BlackBerry Pearl 8120 smartphone to PAYG customers. The phone, which offers e-mail, messaging, an organiser, a web browser and multimedia capabilities, will cost £145 if purchased in the UK. Customers then pay an additonal £5 a month on a rolling subscription on top of one of Orange’s existing PAYG packages. RIM’s New Thinner Blackberry Curve 8900 goes to T-Mobile USA! At CES, RIM introduced a smartphone touted as the thinnest full-QWERTY BlackBerry to date. The BlackBerry Curve 8900 is one of several new phones from various vendors now being added to T-Mobile’s US network. RIM’s new Curve 8900 is both thinner and lighter than older Curves in the 8300 series, which are available for T-Mobile, Verizon Wireless, and other networks, a RIM spokesperson said, speaking with Betanews at the show in Las Vegas. RIM has upgraded the Curve’s built-in camera to 3.2 megapixels. Also at CES, T-Mobile has gained HTC’s Windows Mobile-enabled Shadow T-Mobile with Hotspot smartphone. Other phones recently added to T-Mobile’s network include the MOTO w233 Renew, Nokia 7510 and Samsung t119, said a T-Mobile spokesperson. RIM’s new Curve 8900 is also outfitted with GPS, 802.11 b/g Wi-Fi, and Bluetooth 2.0 stereo. The phone comes preloaded with BlackBerry Maps.